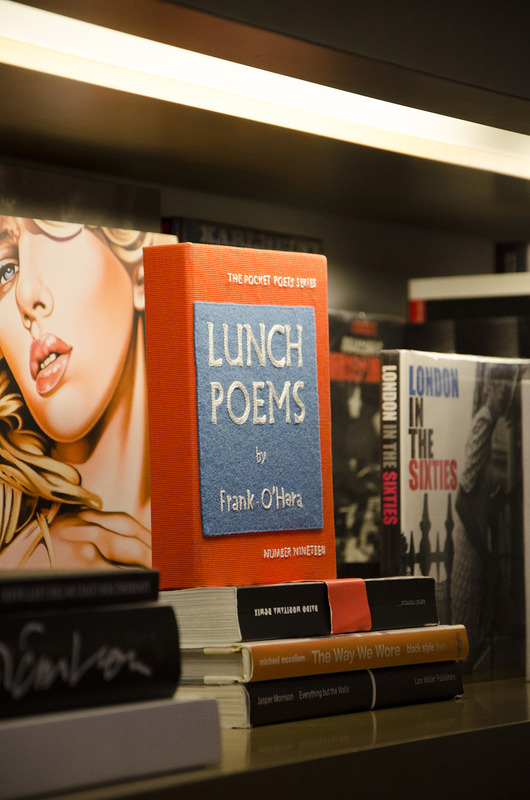 metro guides | follow Metropublications as we explore all aspects of London life. follow Metropublications as we explore all aspects of London life. The Spanish Civil War that raged between July 1936 and April 1939 captured the interest of the world and divided opinion between those of the left and right. The war was between Spain’s elected Republican government and the Nationalist forces of General Franco who were supported by Fascist Italy and Nazi Germany. Western governments did not come to the Republic’s defence and it was left to the Soviet Union to establish the International Brigade. The Brigade attracted nearly 60,000 volunteers from 55 countries to fight for the Republican cause including around 2,000 British volunteers. They experienced physical hardship, but fought bravely alongside the Republican army against the better equipped Nationalist forces. The Brigade initially enjoyed some success with the defence of Madrid in November 1936. Divisions soon, however, emerged within the Brigade, as Nationalist forces continued their advance. In September 1938 the International Brigade was disbanded by Spain’s Republican government in an attempt to win the support of western democracies. The attempt failed and in April 1939, just five months before the start of the Second World War, Franco declared victory. 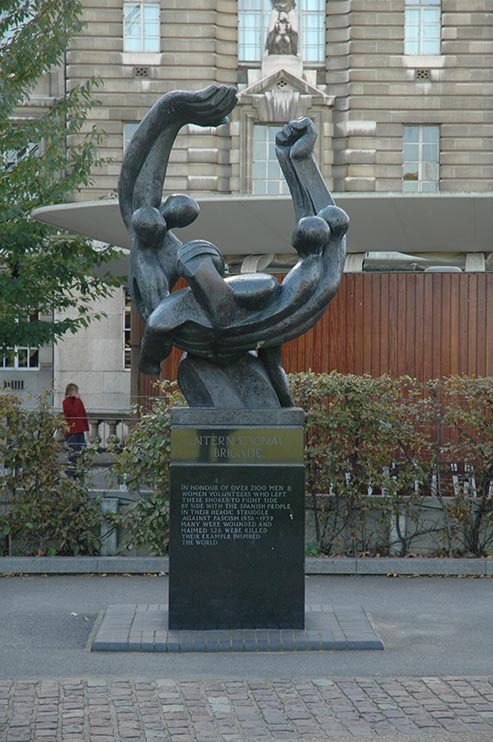 This monument is in memory of the British men and women who volunteered for the International Brigade, of whom 526 gave their lives in the struggle. 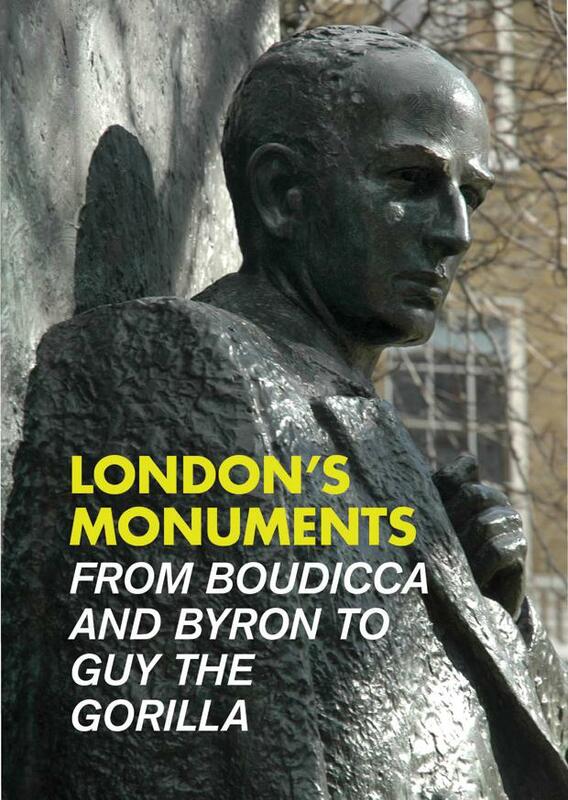 The monument is a wonderful figurative piece by Ian Walters, who also made the bust of Mandela further along the south bank. Many participants in the Spanish Civil War regarded it as part of the wider struggle against fascism and went on to fight bravely in the world war that followed. The marble original of this statue stands in Richmond, Virginia. This bronze copy was a gift from the Commonwealth of Virginia in 1921, to commemorate the first President of the United States. George Washington was born in 1732 into a planter’s family and received the education of an 18th century Virginia gentleman. He trained as a surveyor before taking command of the Virginia militia and fighting on the side of the British during the French and Indian War. From 1759 to the outbreak of the American Revolution in 1775, Washington managed his lands and served in the Virginia House of Burgesses. Washington was not initially in favour of independence but the bad administration of the British and the writings of Thomas Paine helped to persuade him. From May 1775 Washington fought for six gruelling years against the well-trained British troops with his own poorly equipped militia forces. Finally, in 1781 – with the aid of French allies – the Continental Army forced the surrender of Cornwallis at Yorktown. Washington could easily have assumed power at the head of his army, but instead retired from the military and set about establishing a constitution enshrining the rights of the citizen and placing limits upon government. 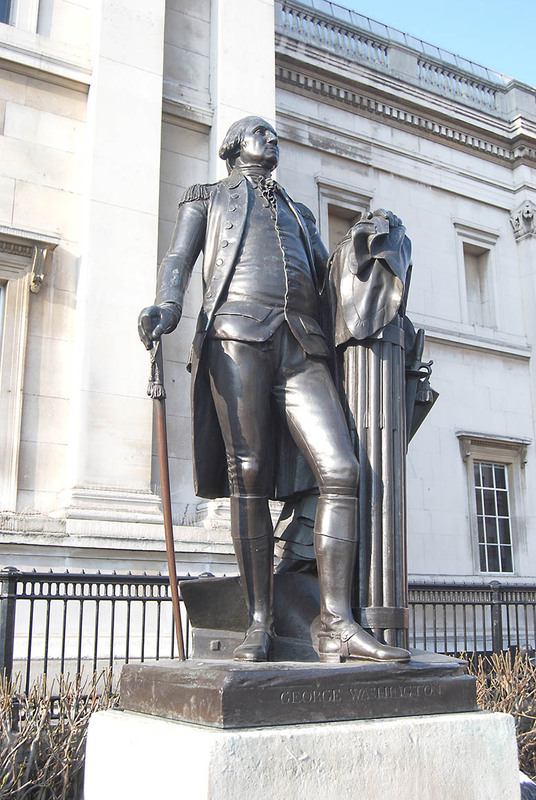 It was as a civilian that Washington was elected America’s first president in 1789. He served two terms of office but retired in 1797 and died only two years later from a throat infection. George Peabody was born to a modest family in Massachusetts and left school at the age of 11 to help support his six siblings. Peabody fought against the British in the war of 1812 and afterwards established a wholesale business that made him a small fortune. He travelled to England in 1827 and over the next ten years built a successful banking business trading in currencies and American securities. In 1838 he intervened to stabilise US state bonds during a crisis. The states made good on their loans and Peabody’s bonds made him a further fortune. 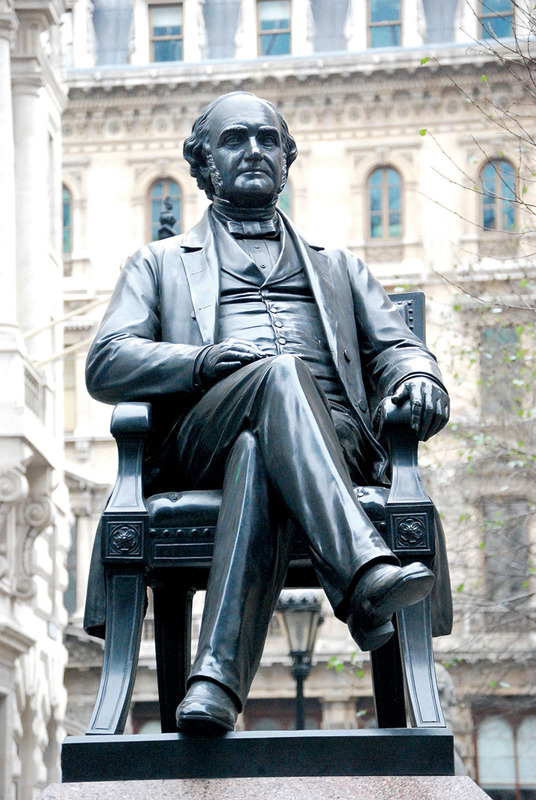 In 1851 he profited from promoting American goods during the Great Exhibition and made further fortunes investing in US railways and trans-Atlantic cables. Peabody was now a trusted figure and he came to the public’s attention when he funded the search for the missing explorer Sir John Franklin in 1852. He was troubled by the poverty he saw and following the advice of Lord Shaftesbury the Peabody Donation Fund was established to build good cheap housing for the poor. The first Peabody estate was built on Commercial Street, Spitalfields, in 1863 and the fund went on to build many more estates. In the last years of his life Peabody spent an estimated £8 million in his philanthropic work to improve housing and education in both America and his adopted home. This monument was unveiled by the Prince of Wales in July 1869, just a few months before Peabody’s death. He was briefly laid to rest in Westminster Abbey before being returned with full honours to the United States. The famous American novelist, poet and man of letters spent three years of his short and troubled life as a student in Stoke Newington before returning to America. Poe was born in Boston to actor parents, but his father abandoned the family and his mother soon died, leaving him in the care of John and Francis Allan from Richmond. He had a difficult relationship with his new guardians and John Allan withdrew financial support from Poe, forcing him to abandon his studies at the University of Virginia. He soon found success with his narrative poem The Raven. 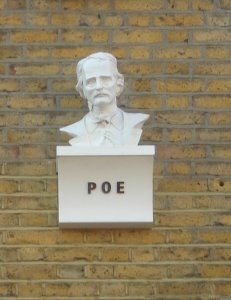 Poe’s subsequent dark, gothic tales of horror, in some way mirrored his own difficult life which involved the death of two wives and his own mysterious death at the age of 40, having been found delirious on the streets of Baltimore. This bust sits on the front of the former Fox Reformed wine bar in Stoke Newington and was unveiled by the actor Steven Berkoff. 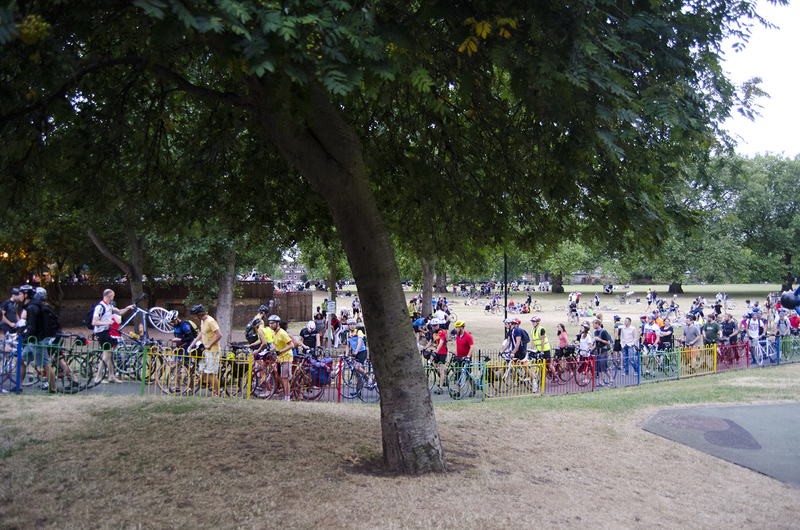 About 20 years ago a small gang of cycle couriers started meeting up on the first Saturday in July to ride through the night from London Fields in Hackney to a beach in a sleepy Suffolk village and so the Dunwich Dynamo was born. London has changed in so many ways in the last 20 years and now, from the starting point of the east side of London Fields, the vast skyscrapers of the city can be seen as testament to the commercialisation of the capital. The Dynamo has, however, remained an entirely uncoordinated ride through the night, with no governing body and no charges for taking part. So this year, if you show up with a working bike and a willing pair of legs, you’re in! The one thing that has changed since the event began is the number of people taking part which now numbers several thousand, including anyone from a bunch of students on old bikes with a hamper, to lycra clad racers with shaven legs and a determination to beat their personal best time. In 2014 I managed to get myself and my wonderful Alan bike in good shape and set off with thousands of others to make the 120 mile journey. I made great time by hitching a ride with anyone who overtook me and even had a few cyclists following in my slip stream. One of the best things about the Dunwich Dynamo is the participation of quite a few villages along the route with pubs staying open, locals coming out to cheer and one village even had a firework display – although I wasn’t sure if that was in our honour. Another great thing about the ride is the feeling of riding through the night, following a long red trail of bike lights which, from high points on the road, shimmer into the distance. About 90 miles into the ride and after a few breaks along the way, I began to flag and event got a little lost, along with a small group of equally confused cyclists. Eventually we managed to find a way back towards Dunwich and I arrived on the beach at around 6am, exhausted but chuffed.. The tips I would give anyone doing the journey this year are to make sure you have a really good front bike light, because some of the country roads have no lighting and it really helps to see ahead of you. Another good tip is to know the last 30 miles of the route to Dunwich, as by this stage the riders are quite spread out and it’s possible to get lost, as I discovered.. It’s also a good policy to take breaks and make sure you are well fed, as it’s possible to just run out of fuel after 6-8 hours cycling… Finally, the most important thing is to enjoy the experience… Good Luck! 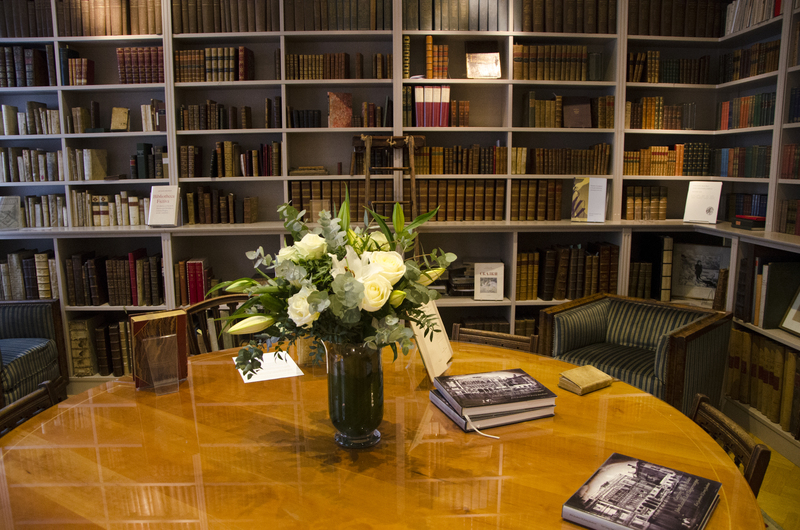 This exceptional library is dedicated to European cultural history, and is based upon the collection of the German banking heir, Aby Warburg. Warburg dedicated his life to the study of human expression and the transmission of ideas across space and time. For this purpose he compiled and organised a library of around 60,000 books. After Warburg’s death in 1929, the threat posed by the rise of the Nazis led to the migration of the library and institute to London. After the Second World War the Institute was incorporated into the University of London and since 1958 has been housed in a purpose built building on Woburn Square. Over the years the Library has grown to include over 350,000 books, with a Photographic Archive containing 350,000 photographs. The Library and Photographic Archive were the research tool from which Warburg developed his last and unfinished work, the Mnemosyne Atlas. The Atlas constitutes an attempt to represent the theory and history of human expression from Ancient to Modern times, as well as the migration and transformation of images with considerable emphasis on the afterlife of mythology. 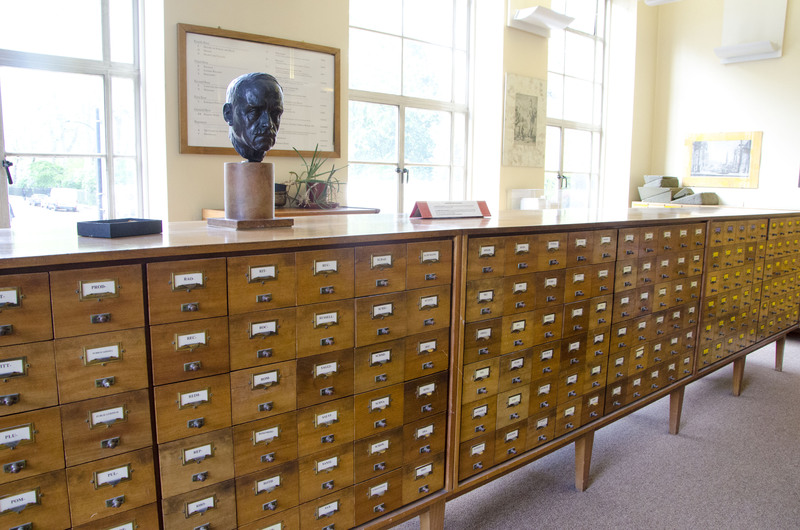 The classification of the Library was meant to sustain Warburg’s work. This has given rise to a taxonomy that involves four main categories: Image (art history), Word (language and literature, particularly the survival of classical literature), Orientation (religion, science and philosophy) and Action (social and political history). Within these categories books are arranged chronologically, rather than alphabetically. This means that a researcher browsing the shelves is able to build up a picture of the evolution of a particular discipline. This might seem a bit confusing, but in practice, the appeal of the collection transcends these issues and the staff are always on hand to help track down a particular book. 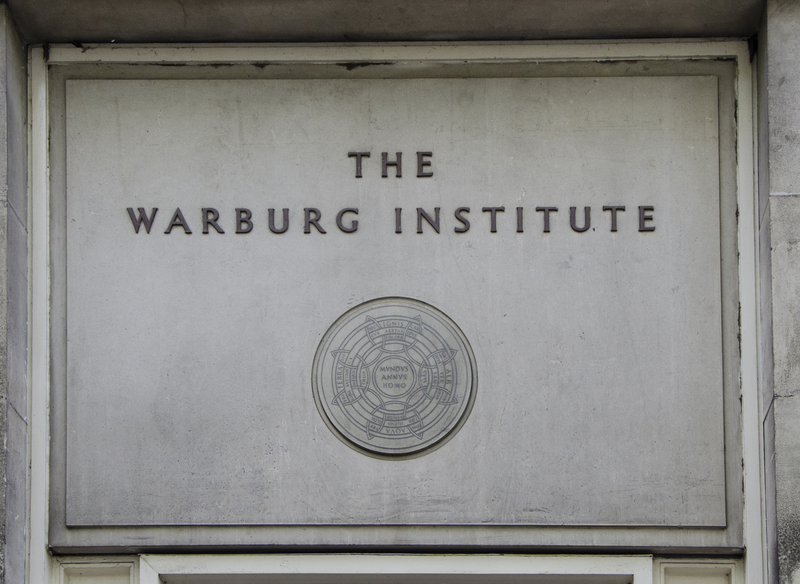 Access to the Warburg Institute is restricted to postgraduate students, scholars and researchers by appointment. The institute is in the process of digitising as much of its collection as possible and has already produced 30,000 digital images and 8,000 electronic books, all of which are freely available online. The Institute also runs a busy programme of lectures, colloquia and seminars, which are open to the general public. 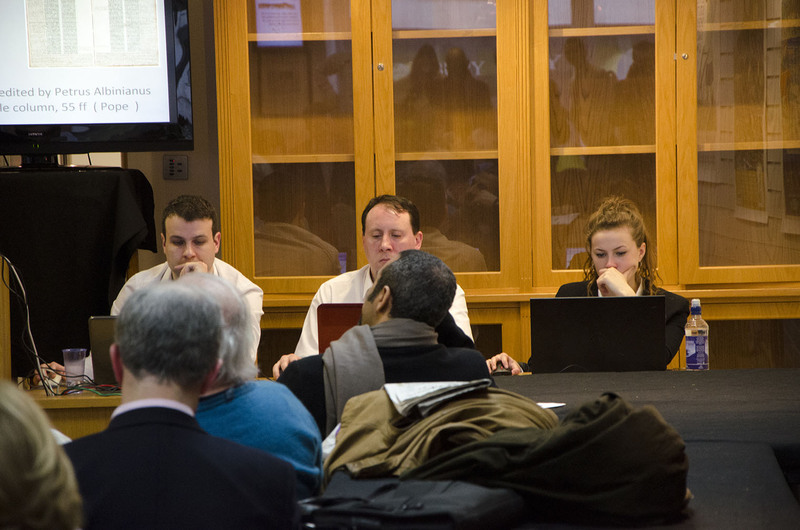 Bloomsbury Auctions is a specialist book and visual arts auction house which is now the only one of its kind in London. As such, the sales held at its relatively modest first floor offices near Oxford Circus are a major event in the antiquarian book world attracting prestigious bookshops and many international collectors. Those attending in person will find themselves bidding against phone bids, those participating online and commission bids which are only declared once the price has reached its limit in the room. 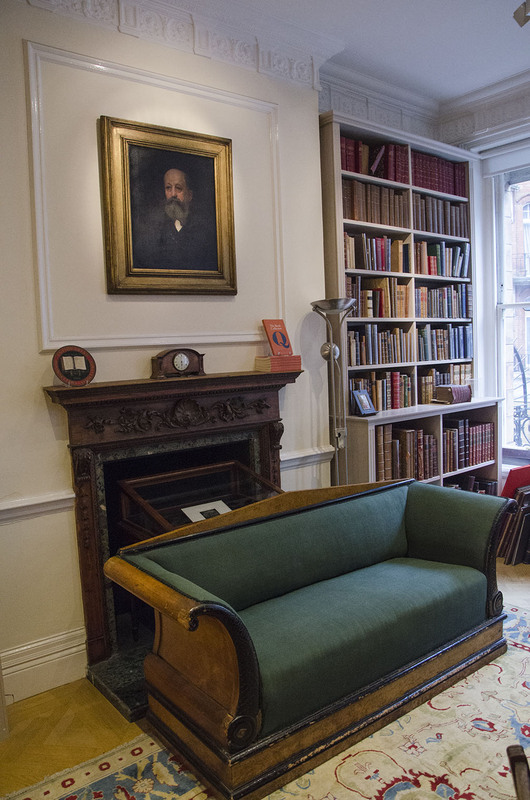 Bloomsbury sales range from specialist auctions covering a particular theme or period, to the sale of a single collection (where the library of one person is sold). Bloomsbury still holds the world record price at auction for a first edition of a Harry Potter book (£17,000). A recent auction had nearly 200 lots covering Continental and English Literature and History, and Middle-Eastern Books and Manuscripts with some of the earliest examples of printed books dating from the late 15th century going under the hammer with an obscure leather bound tombe by the Bishop of Carthage dating from 1417 fetching £10,000 and the Epistles of Pope Pius II in moroccan leather dating from 1473 fetching £3,000. 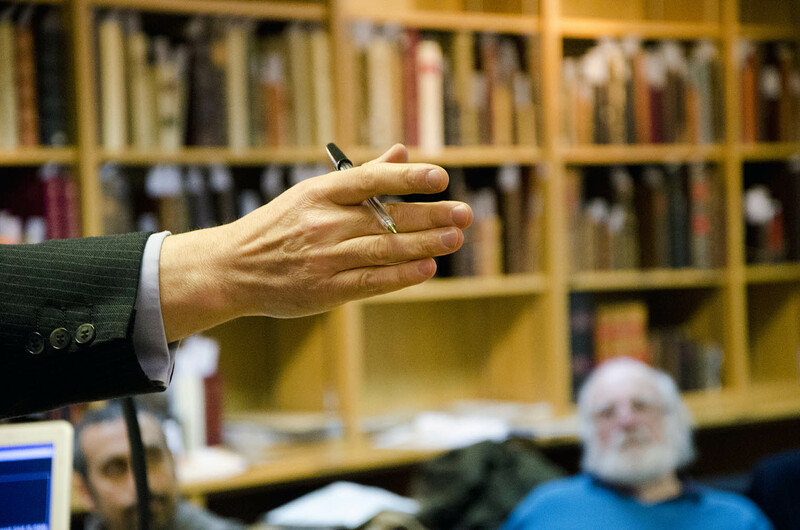 Anyone interested in rare books, works of art and collectable letters, diaries and manuscripts should make the effort to attend one of the Bloomsbury auctions. There will not be many lots that are within the reach of ordinary pockets, but the atmosphere is priceless. If you do visit with the intention of bidding it’s important to remember that the winning bid is subject to VAT and the auction’s commission which adds nearly 29% to the price paid. As with most auctions, in order to be able to participate, visitors need to register at the desk with proof of residence and then receive a card with a number (known as a paddle) with which they can bid, but the regulars here are always identified by their name. The website is a very useful resource giving information about future auctions and allowing visitors to view the latest catalogues. 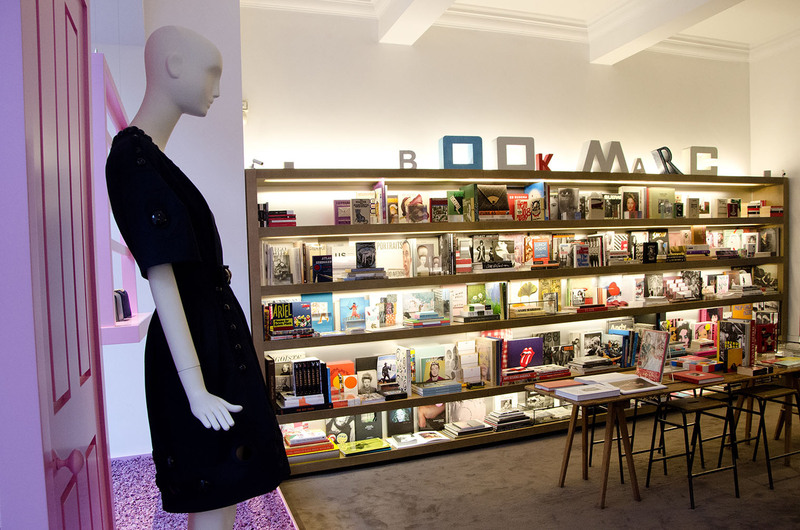 The Mayfair fashion store Marc Jacobs also contains a small outlet dedicated to art and fashion books called BookMarc. 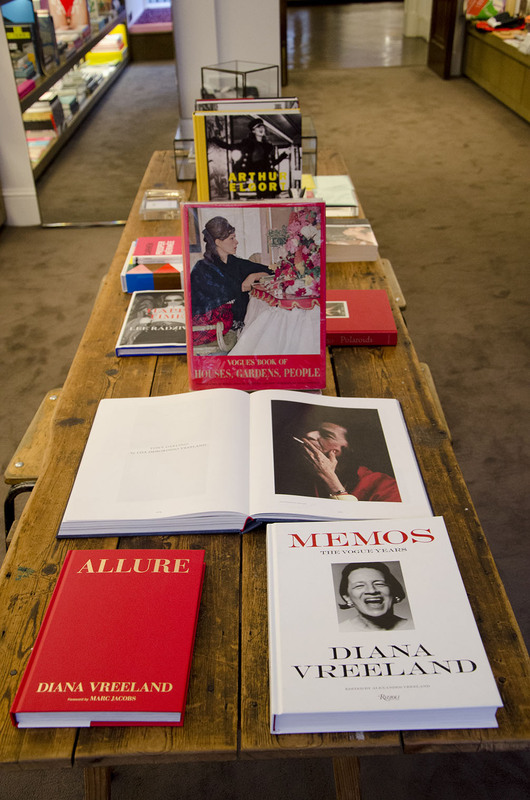 The London store stocks all kinds of interesting books with particular strengths being contemporary photography and fashion but with a more limited offering of fiction and books on modern culture. If Derrida and Foucault aren’t your bag, there are notebooks and other stationery to peruse and of course the book shelves are surrounded by Marc Jacobs fashion. 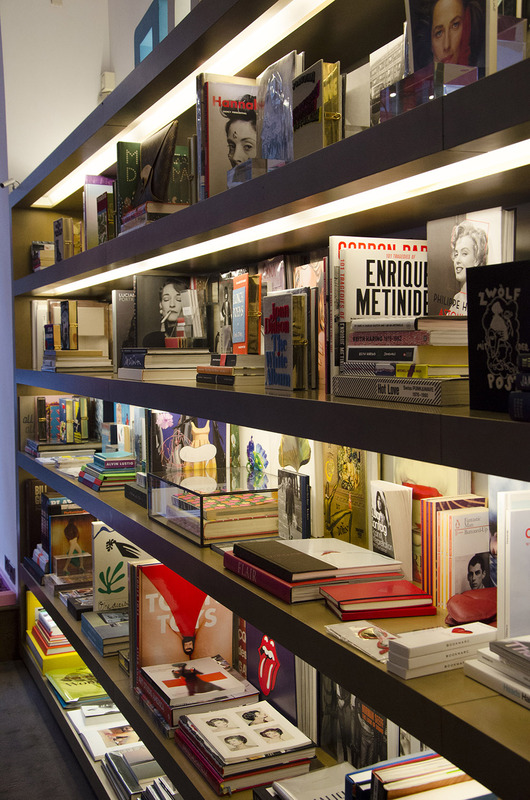 Book worms are notoriously unkempt, but smarter literary folk will love this new London store. The grand entrance to Bernard Quaritch with its vast black lacquered door and brass name plate might seem very daunting to the uninitiated but having pressed the bell and gained admittance to the first floor reception you are assured a warm welcome. The main entrance leads to a high ceilinged room with light wooden shelves displaying some of the books held by this established name in London’s antiquarian book world. Above the mantlepiece, a portrait of the eponymous Mr Quaritch looks down benevolently, no doubt satisfied that the business he established back in 1847 is still thriving. Quaritch’s vast stock extends into the staff offices but the first floor reception room is where most business is done. Staff will cheerfully fetch what visitors require. The company’s main strengths are medieval manuscripts, English and Continental books, travel, the human sciences and early photographs. The offices might seem quiet by comparison with a typical shop, but Alice is keen to point out that a great deal of the company’s business is with a world-wide network of collectors and libraries. Most of whom rarely cross the companies threshold but communicate from afar and make their purchases on the strength of catalogues, accurate descriptions and photographs. The firm also attends the major book fairs, both at home and abroad, to meet people face-to-face. 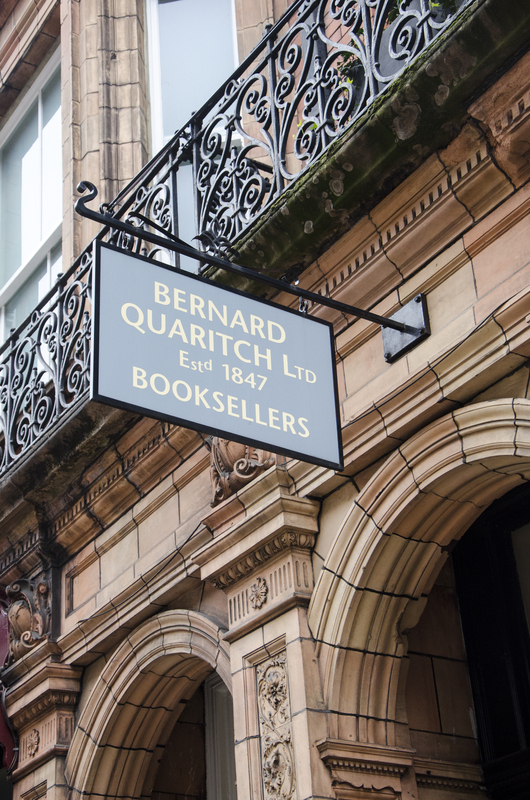 The world of Bernard Quaritch is a fascinating one, but the prices do reflect the quality of their stock and the fact that many of their books are unique. 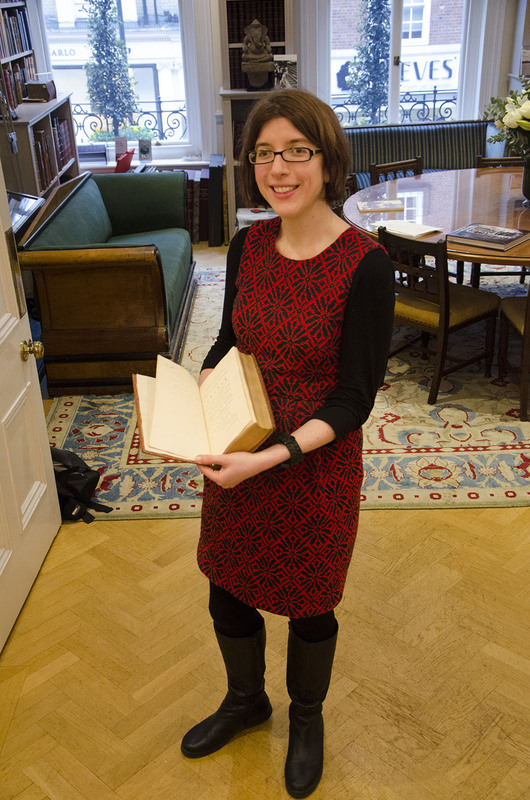 Alice showed me a vellum bound copy of Hitopadйsa that formerly belonged to William Morris and can be yours for £400. A recent catalogue included a first edition of Karl Marx’s Das Kapital which could be yours for £80,000. Bernard Quaritch welcome enquiries. If you can’t make it to their Mayfair offices, do drop them a line and they are always a significant presence at the ABA/PBFA Rare Books London event. 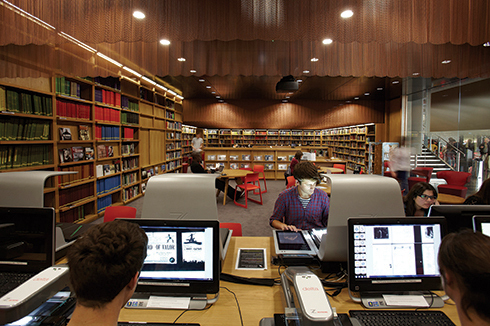 The BFI library has a long history, and was for many years kept a secret by the film students and media researchers who were its stalwart patrons. 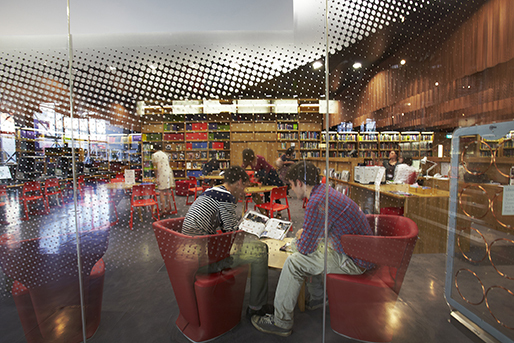 The library underwent a transformation in 2014, acquiring an additional name (‘Reuben’) and moving to the central complex of the British Film Institute on the Southbank. The new library remains the major national research collection specialising in British film and television, but with considerable international holdings. 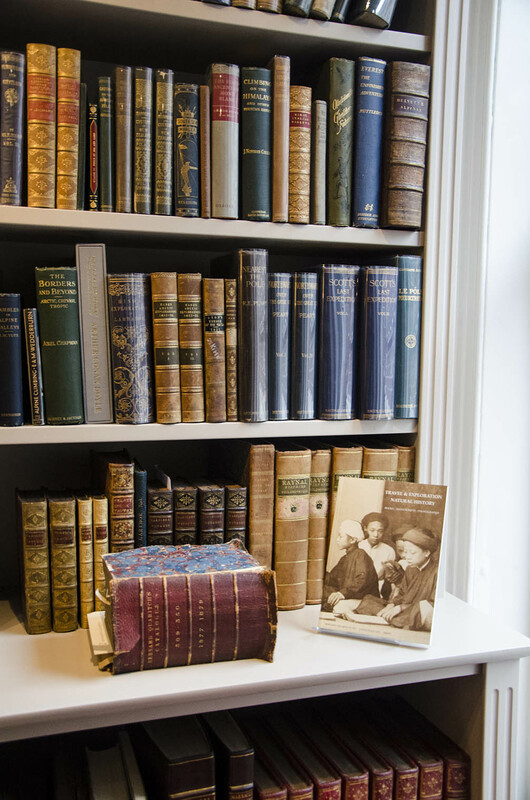 The collection includes books, journals, press cuttings and digitalised materials which are available to view or can be ordered in advance from the library’s vast archives. Established in 1934, the library’s collection spans the history of the moving image, from pre-cinema to the present, and this can be easily searched using their collections database. “We actively want everybody, regardless of who they are, to have access to materials that are as well-thumbed as they are beautiful, well-known as they are arcane”. 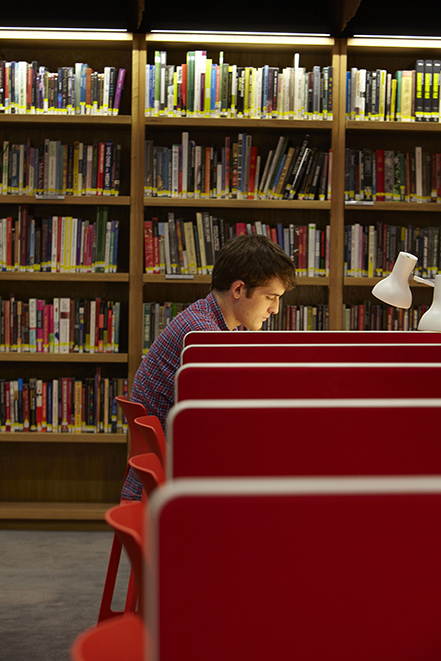 Visit the BFI’s website or just call in during opening hours to find out more about this incredible library, as well as the BFI National Archive and Special Collections. BFI Southbank is a four-screen cinema venue, showing over 2,000 contemporary and classic films each year. View over 1,000 hours of free film and TV in the Mediatheque, or visit the BFI Shop, which boasts an incredible range of books, DVDs and gifts. 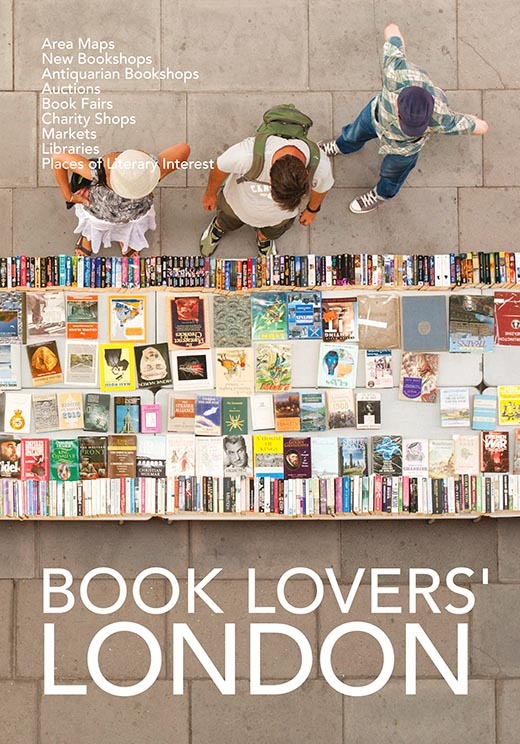 This is an extract from our forthcoming edition of Book Lovers’ London. Harrington & Squires is the brain child of two graphic design graduates, Chrissie Charlton of Hornsey College of Art and Vicky Fullick of St Martin’s School of Art and later of the London College of Communication. 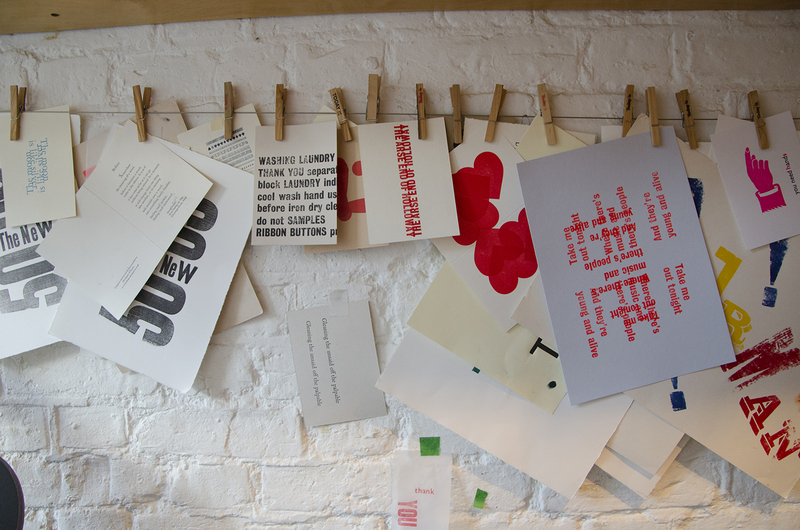 They started their careers during the ‘hands on’ design sensibility of the 70’ and 80’s and during the more sterile world of desk top publishing in the 90’s, wanted to return to the tactile environment of traditional letterpress printing. They started the business in the corner of Chrissie’s design practice studio in 2002 and in 2004 stumbled upon a recently closed art gallery which is without doubt one of the narrowest shop fronts in London. 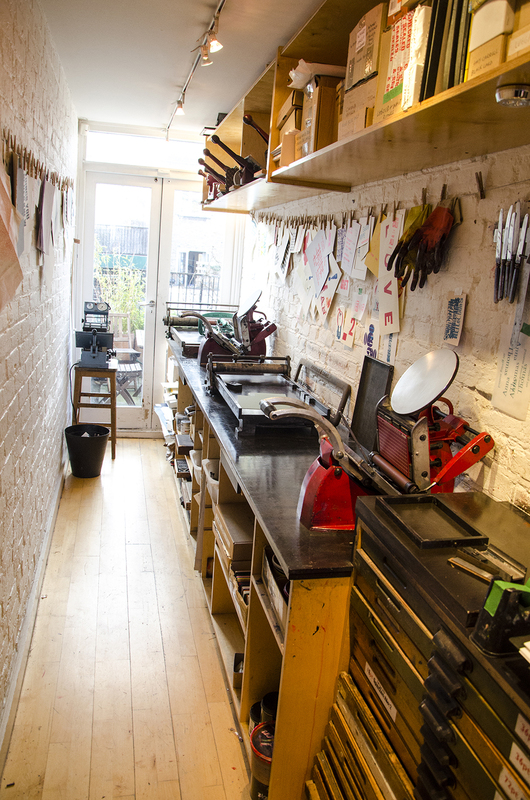 The three galley-like floors are probably too narrow for a conventional shop, but suit their requirements for a workshop and small retail space perfectly. A good deal of the work of their students is carefully kept to illustrate the possibilities to other students beginning the workshop. They proudly show me a book of poems about wood that has been printed using wooden and metal type and then coptic bound in wooden covers, produced as one of their own personal projects. Another small book of wood of a different kind, is a commission for a hand bound collection of poems concerning the client’s amorous adventures, thankfully without illustration. ‘We’re not jobbing printers as we usually don’t print other people’s designs and the work is very different from digital or litho printing. Our customers understand they are getting something unique’. 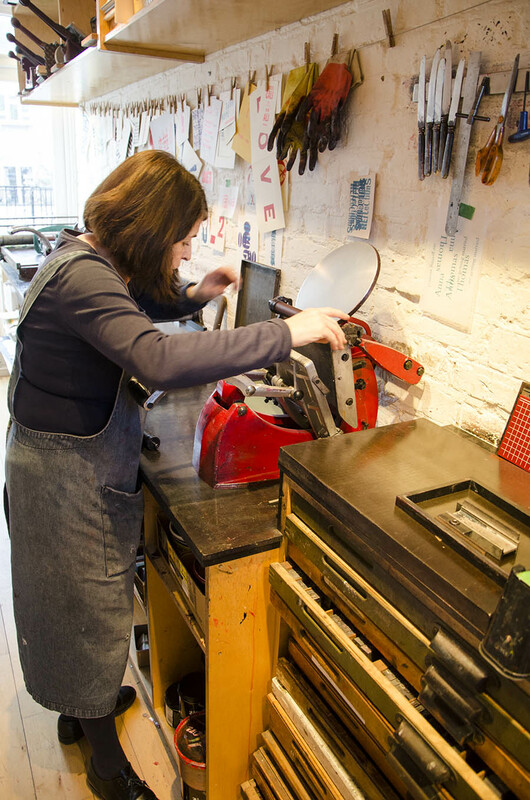 Vicky and Chrissie often do the initial design digitally, bearing in mind that it is then set in metal using the type they have in stock. Once the digital proofs are approved by the client, the painstaking work of hand setting, locking up in the metal chase and preparing the press is undertaken. The actual operation of these hand-driven, old machines, can be slow but very satisfying with each piece of paper placed in the press by hand for each impression taken. 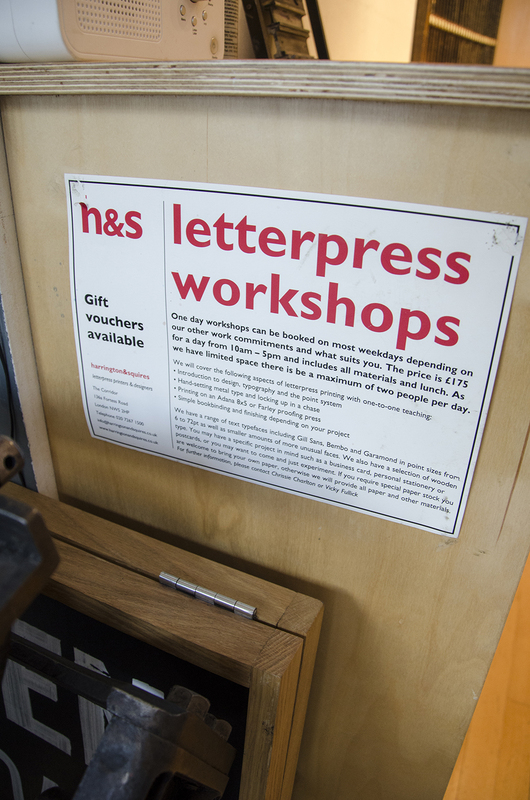 The final part of the Harrington & Squires jigsaw is the production of their own unique cards, fridge magnets and calendars that are sold from their small shop as well as online and through quite a few retail outlets. This side of the business has really benefited from being on a busy shopping street with a regular contingent of locals popping in to commission cards and other work. 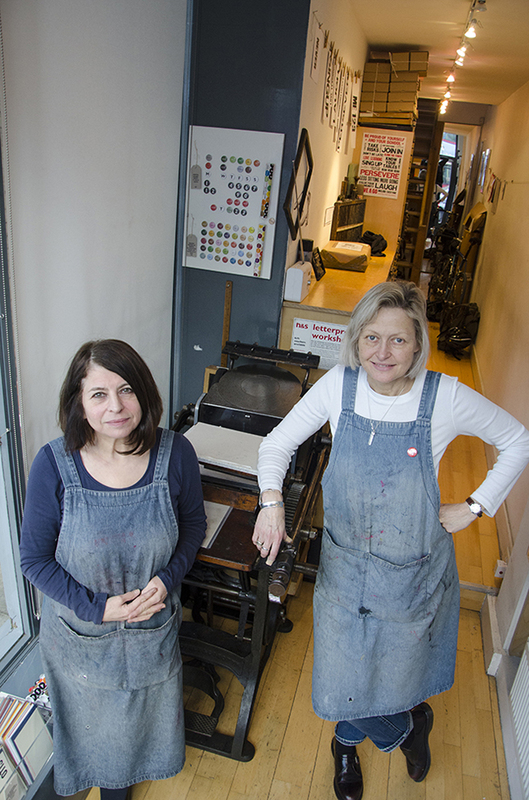 The original Bob Harrington and Horace Squires, who were renowned type compositors and teachers at Hornsey College of Art, would no doubt doff their caps in the direction of Vicky and Chrissie as they keep these valued skills alive. For those interested in their work or taking a class, their website is an excellent first point of call. Charlie Chaplin was born to theatrical parents, he made his entrance in 1889 in Walworth, London and appeared in music hall as a child. His family life was unstable and they were forced into the workhouse when their father abandoned them. Chaplin was always a natural comic and as a teenager found acting work which eventually took him to America. It was while touring the States in 1913 that Chaplin was spotted by the movie producer Mack Sennett and began his career in comic silent movies. Chaplin was intelligent and ambitious and within a year he had begun writing and directing his own films – slowing the pace and developing characters. During this period he made The Tramp (1915), Easy Street (1917) and A Dog’s Life (1918) and became the first movie star to sign a million-dollar contract in 1918. Chaplin’s success was only matched by his ambition and within a year he had established a film studio with other film stars of the day – United Artists. Directing and producing his own films, Chaplin was one of the few actors to make a successful transition to talking pictures. Despite having very little formal education he formed friendships with some of the leading intellectuals of his day including H. G. Wells, Harold Laski and Albert Einstein. Chaplin was a socialist with strong sympathies for Soviet Russia and made some of the most overtly political films of the period – Modern Times (1936) and the Great Dictator (1938). During the war he devoted his energies to Soviet war relief and the campaign for the opening of a second front in Europe. With the rise of anti-communism and the start of the Cold War, Chaplin fell under suspicion by J. Edgar Hoover’s FBI and in 1952 Chaplin’s right to enter the United States was revoked and he became an exile in Europe. He made several films in Europe – none of which were distributed in the US – and was only allowed back into the country in 1972 to receive an award. Chaplin died in Switzerland on Christmas Day 1977 having become one of the most successful and controversial figures of the 20th century. 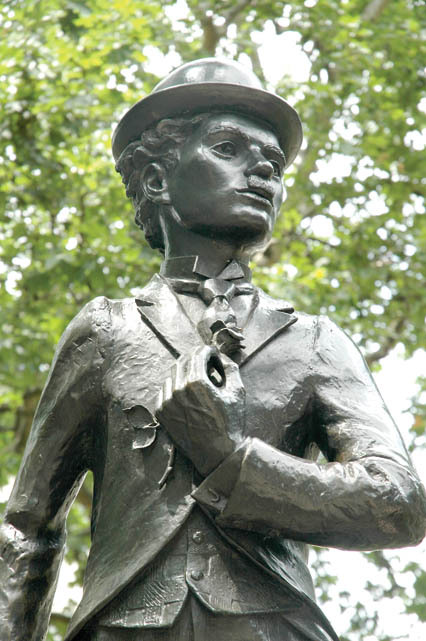 This monument has avoided any political controversy, representing Chaplin in his early days as a loveable tramp with the inscription ‘The comic genius who gave pleasure to so many’.